For the new end of the year holiday season 2018, Disaronno introduces "Disaronno Wears Trussardi” — a Limited Edition where, true to form, it chooses an Italian lifestyle brand to make its unmistakably unique bottle extra special. “For years the Limited Edition has marked an annual highlight with reference to our brand’s visibility,” comments Illva Saronno Holding CEO Augusto Reina. "Disaronno is appreciated across the globe as an emblem of Italian style. And this year we are proud to make a particularly classy, elegant statement with a graphic design that reflects in full our perfectly modern essence”. “The Trussardi story is very much about innovation, discovery, the concept of fusion. In addition to strengthening the bond between two companies that epitomize the Italian spirit worldwide, designing the iconic Disaronno bottle underscores once again that Trussardi continues to be a 360° lifestyle brand,” says Tomaso Trussardi, CEO of Trussardi. Along with the classic bottle, the Disaronno Wears Trussardi Limited Edition comes in two sets of mini bottles, in packages of three, they as well collector’s items. 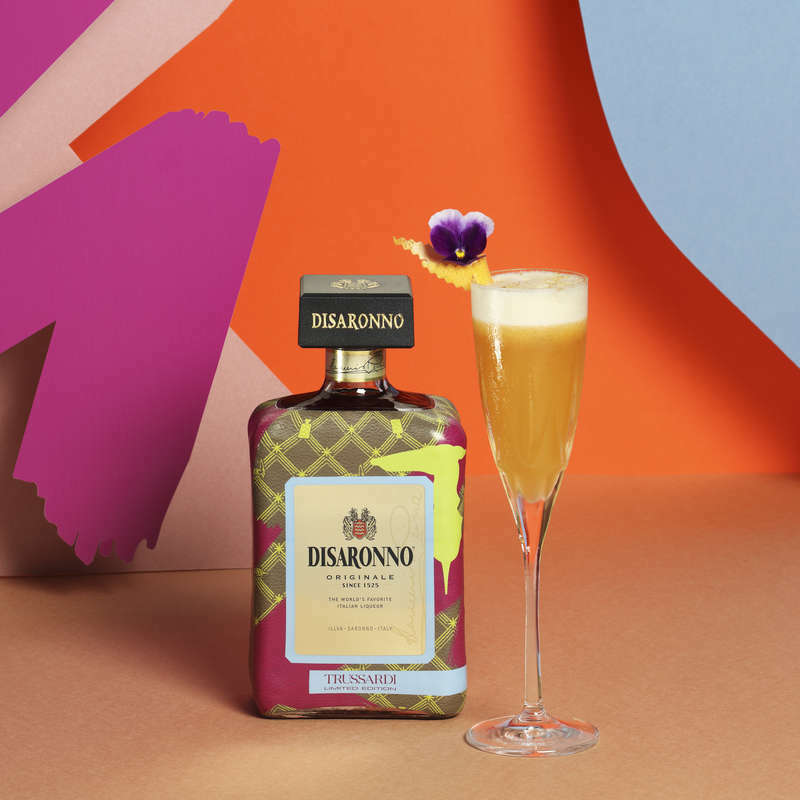 #DisaronnoWearsTrussardi is the sixth Limited Edition of the Disaronno Icon project, the brand’s annual collaboration with a leading name in Italian fashion.